Thousands of people from all walks of life recently besieged Ogbonicha in Ofu Local Government Council Area of Kogi State, country home of a former governor of the state and the All Progressives Congress (APC) governorship candidate in the November 2015 governorship election, the late Abubakar Audu, who died at the nick of his victory. The event was put in place by his eldest son, Muhammed Audu to mark his one year passing and also to launch a foundation in his honour. Before the November 2015 governorship election, a lot of pressure had been brought on Audu as a majority of the people was determined to change the leadership of the state at the time. However, the clamour for the change of leadership was not itself the solution, but the inherent ability and capability of the leader that would emerge, to rescue and restore the state as well as guarantee development in every sector of the state economy. It was about the search for a leader with a clearly defined mission and vision. A leader that was development-driven remained the only solution to the myriad of challenges bedeviling the state at that crucial moment in history. Thus, for a people passionately desirous of good governance and development, the challenge rested on the shoulders of Audu, having been tested, to reduce burden of the state. Audu and Chief James Faleke led the collective resolve of a majority of the people of Kogi State to take their destinies in their hands, defeat the Peoples Democratic Party (PDP) and bring the PDP siege to an end in the state in a controversially inconclusive election, following the dramatic twist of fate on November 22, 2015, when Audu died. Delivering his speech, Muhammed Audu said he would continue the legacy of his father as he launched The Abubakar Audu Foundation. He noted that the achievements of his late father would be sustained because he brought massive development to the state, when he was governor. He mentioned that the foundation would cut across all the 21 local governments of the state by empowering youths, women, the less privileged people and widow, adding also that it would go a long way helping the people. Muhammed Audu, who mentioned that the foundation was not a political initiative, said he decided to embark on the foundation to fulfill the legacy of his father. He explained that his late father was committed to uplifting the state and that when he was governor of the state for two terms, his achievements cut across all the councils of the state. “A man associated only with success, Prince Abubakar Audu won the election of December, 1991 and was sworn in on 2nd January 1992 as the first executive governor of Kogi State. 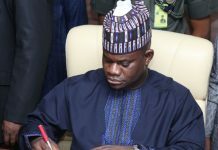 It was in this capacity that he transformed the infrastructural landscape of Kogi State within the 22 months lifespan of that administration, which was abruptly terminated by military intervention,” he said. Rolling out some the achievements of his father during his brief first term, Muhammed recalled such feats as the establishment of three different housing schemes for public officers consisting of over 1,500 housing units in Lokoja, the transformation of Lokoja Township with asphalt roads and many more. “In his second coming, the establishment of Prince Abubakar Audu University now Kogi State University, Anyigba, is another testimony to the vision, dynamism and resourcefulness of the governor and a clear testimony of his love for education. “The people of Kogi State cannot forget the historic day, 30th November 1999, when for the first time, a head of government of Nigeria in the person of former President Olusegun Obansajo visited the state and laid the foundation stone of the state university. 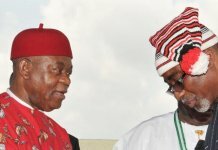 About a year later, the president returned to Anyigba during a state visit to commission the University complex,” he noted. According to him, over the years, Audu had the rare privilege of dominating the political stage in Kogi State especially with the outstanding success he recorded in the provision of infrastructure for communities across the state on an equitable basis. 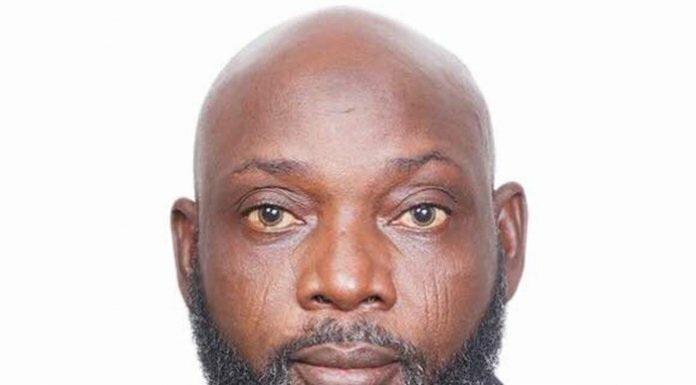 Muhammed Audu, who thanked the people of the state for the support given to his father when he was alive stressed that his late father did his best for the people of the state when he was governor as most of his achievements can be seen across all the three senatorial districts of the state. Speaking with newsmen at the occasion, Faleke said there could not be any reconciliation in the state without justice, adding that “We are prepared to go hungry for the next four years, but I can tell you that God sparing our lives, the song will change surely”. He noted that the crisis in the party in the state could not be resolved because of the way and manner the national leadership of the party handled the issue. He opined that there could never be any reconciliation in a situation where somebody works from first day to the last day of the month and another person collects his salary, adding that what could only guarantee genuine reconciliation is for the salary to be returned to the person who worked. That is the only reconciliation. He stressed that every right thinking man knows that the development had affected the party in the state as a result of the fallout of the faulty manner with which the national secretariat of the party handled the crisis after Audu’s demise. “The architects of the crisis in Kogi State started the imminent downfall of our party, APC. The way and manner the issue of Kogi was handled was least expected of a political party. I have heard that one of the cabals said APC was just a gathering of some people, not yet a political party. 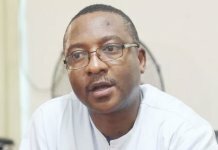 “I want to say that as far as what happened in Kogi State is concerned and how it is affecting the party, I am sure those in government in the state can confirm that all is not well within the party in the state because when you work and some people are benefitting or reaping the fruits of your labour, they will know that all cannot be well and that is why they are not getting their feet right. “It is one year after Audu and nothing seems to be moving. It has taken the state more than seven to eight months to do screening and pay salary. People have died through queuing or waiting for their names to be screened and those that had been screened have not collected salary since January this year. You can imagine that certainly things are very bad. We know how much we spent to maintain our people in the state to keep life moving. When people work and at the end of the month they are not paid, you can be sure that nothing can go well, so, whatever that goes on in the civil service in the state is also affecting the party. “What happened to us during the case and when we lost our leader one year ago and all the battles we went through in the legal process, the way and manner the court judgments came, the issues that were determined have shown that we are not in a party yet, as far as I am concerned, until the party at the national level wakes up. “You know that this party was formed by all of us. We contributed to it. It is not an animal farm; it belongs to everybody and until they realised that, that is the only time that this party can have a foot and can move forward. If our people get paid, if our people are empowered and entrenched, I am sure the songs will change. But as it is now, it is bad song,” he said. Also speaking, Chairman of the occasion, Senator Rabiu Kwankwaso commended the late Audu for bringing development to the state while in office. The former governor of Kano State stressed that the late Audu brought Kogi State to a lime light while in office. According to him, the late former governor brought rapid development by establishing state university within one year in office. He noted that the demise of Audu was a lesson to everybody as God knows the best why he took his life, when he was already winning the 2015 governorship election in Kogi State. Kwankwaso, therefore, called on the state governor to name the state university after Audu and commended his son, Muhammed for launching a foundation in honour of his father. Among the eminent personalities that graced the occasion are some traditional rulers, former ministers, former Niger State Governor, Abdulkadir Kure, former governor of Edo State, Chief Lucky Igbenidion, members of the National and State Assembly and members of the diplomatic community.